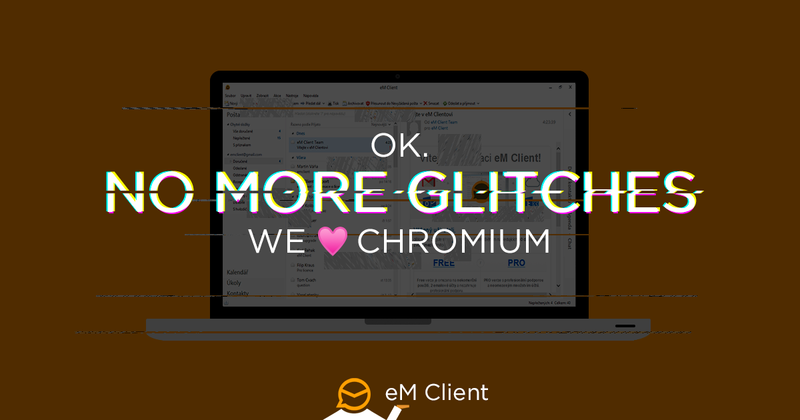 Up until now, eM Client was running on several system components used with the .NET framework. As this has been a limitation for us in more and more cases lately, we’ve decided that it’s time to move to new tools. We’ve done major changes to the application to integrate a WebKit core. This will help us to get rid of some Internet Explorer issues that have been bugging us for years in some specific cases. Using WebKit essentially means that the main application browser will be Chrome instead of the current implementation of Internet Explorer, this will also help us improving compatibility with Google's features in the future.